With summer now upon us, it can be difficult for us to remember the cold howling winds and the freezing chill of the wintertime. Some people enjoy the cold temperatures, and some people try to avoid it at all costs. Something that cannot be avoided, however, is the cold, dry air that settles in your house. Dry air is frustrating and can cause damage in a wide variety of ways. One way to combat dry air is by using a humidifier. An ultrasonic humidifier is one type that you may not have heard of before, but it can be very beneficial to you and your family. Read on to find out more about it! 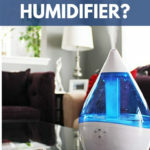 How Can a Humidifier Be Helpful to You? What are the Differences Between Humidifiers? In the winter time, cold air gets inside your house whenever you open a door or window. This air contains very little moisture, as it has low humidity. This is because warmer air has more moisture in it than cold air. When you turn up the heat in your house, it will increase the temperature, but will not add more moisture to the air. This can be a problem because dry air causes health issues to people, animals and house plants. Dry air can cause problems with peoples’ respiratory systems, resulting in asthma, bronchitis, and nose bleeds, among other things. It can also result in itchy eyes and skin. There is no excess moisture in the air for your body, so it will start to react in a negative manner. Humidifiers will increase the relative indoor humidity in your home. More moisture will result in a happier and healthier life. As well, you can start to turn down the temperature in the house, and you will still be at a comfortable level. This will save you money on your heating bill. So now that we understand why a humidifier is important in your home, many people will ask why it matters what type they get. They all seem to do the same job, so why should you have to look for one kind of model in particular? The difference is simple; humidifiers are definitely not all the same. 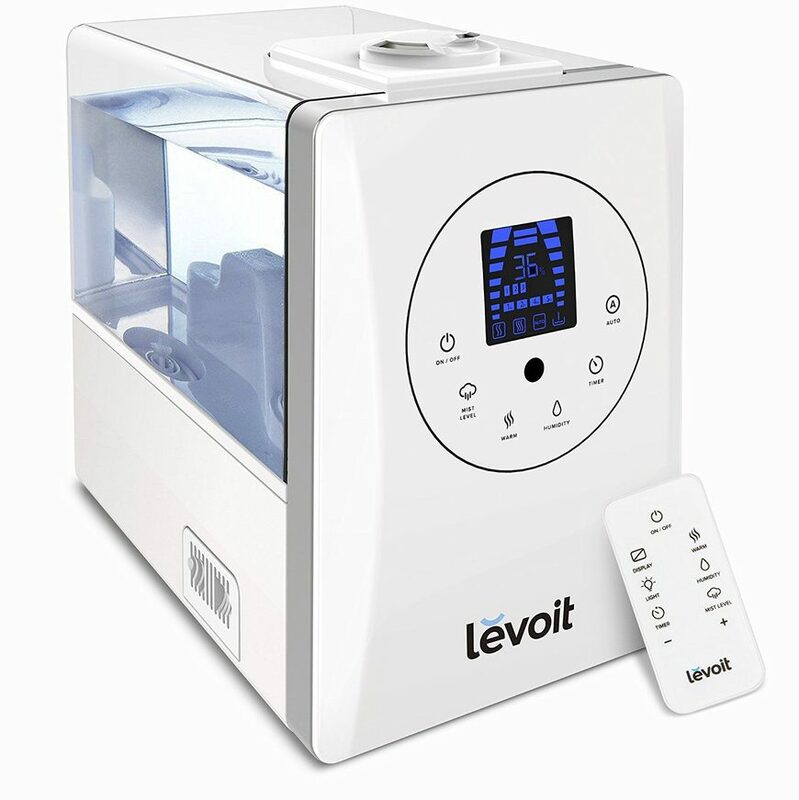 We will be looking at two different types of humidifiers; the evaporative and ultrasonic humidifier. This is the most common type of humidifier. The way that you use this one is by placing a bowl of water in the room and allowing the moisture to slowly evaporate into the air. The humidifier will generate a thin water mist to moisten the air. This type of humidifier will often have a filter, so this will be an added maintenance cost to clean or replace it. This type of humidifier is fairly different compared to the evaporative one. An ultrasonic humidifier will use sound vibrations to create a water mist. These vibrations are made from very high frequencies. This type of humidifier is quieter, and will not have the added cost of filter maintenance and cleaning. An ultrasonic humidifier’s mist might look a little grayish, as there is no filter to catch the minerals in the water. However, this type of humidifier does not heat the water in any way, so it is considered to be safer to use. Even though the evaporative humidifier is the more common one, this does not make it the best option for everyone. There are a few key differences that are important to look at before you make a decision about purchasing a particular model. We will be looking at a few benefits of using this type of humidifier over others. Overall, there are a lot of advantages of using an ultrasonic humidifier. For one thing, you will become healthier with the help of such a humidifier. Most viruses and bacteria will travel best in dry air, and they have trouble when the air is moist. This means that you will be more protected with the help of an ultrasonic humidifier. It will also help your cracked skin repair itself from the dry winter air. The humidifier will also help clear your sinuses, so you will able to breathe more freely. Another advantage is that using an ultrasonic humidifier is safer than other types. The water mist that is created is not generated from heating the water. This means that at no time is hot water being expelled from the humidifier. This is definitely a benefit if you have young children or curious pets running around the house. They could get burned from using other types of humidifiers that heat the water. An ultrasonic humidifier will tend to cost more upfront compared to other models. However, the operating cost over a long period of time is very low. You will not have to worry about buying or cleaning filters during the course of the humidifier’s life. This is good, because it will give you less to worry about, and can just enjoy your comfortable home once more. Also, since the humidifier cost more initially, it is likely that it will be more durable and long-lasting than other, cheaper models. Basically, a humidifier can be a necessity if you live in a climate that generates dry air, or if you have long winters. It can be difficult to choose which humidifier is best for you, so it is best to re-evaluate your exact needs before you make a final decision. If you have young children, it might be best for you to look into ultrasonic humidifiers. Later on down the road, if you want to, you could switch over to a different type of humidifier. You will be able to feel the difference a humidifier makes very soon after you set it up and turn it on. Have you tried using an ultrasonic humidifier before? Did you start to notice a big difference right away? Or do you prefer an alternative type of humidifier? Let us know in the comments below!